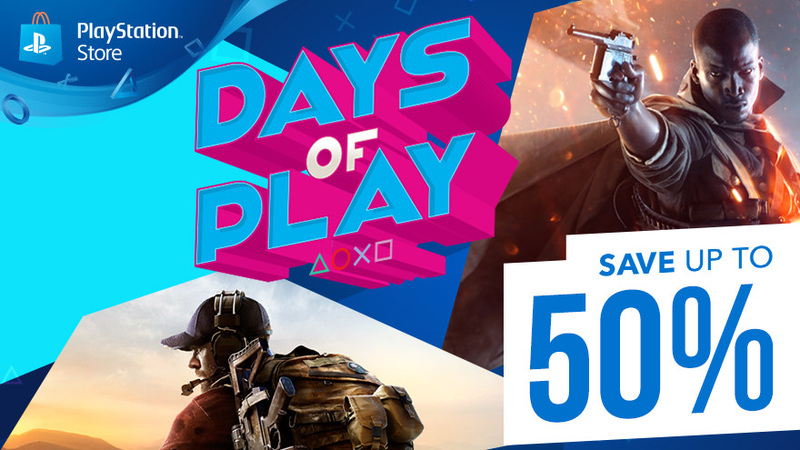 Sony announced earlier this week they would be running the Days of Play store promotion, introducing a whole swathe of discounts from today through to June 21st. The majority of games affected are AAA titles by large publishers and developers, all of which have been cut in price anywhere between 10 and 50 percent. The deals don’t stop at new PS4 releases, either. Sony have released a list of games for the PS3 and Vita affected by the promotional sale that’s around the same length, for anybody who might fancy a trip back down memory lane, including the God of War, Jak and Daxter, and Ratchet and Clank collections. Finally, games for three separate consoles aside, Sony is also providing some unreal deals on hardware and accessories. Topping these are a limited edition 1TB Gold PS4 system for $249.99 in the US, and a 500GB PS4 with either Horizon: Zero Dawn or FIFA 17 for £199.99 in the UK. Some deals are only running for smaller windows within the Days of Play promotion, however, so get on them quick. Check out the full list of titles and let us know what you think about this unreal summer sale in the comments section below.